Hiddenite Arts & Heritage Center » Rich History. Bright Future. The Hiddenite Arts & Heritage Center is housed within the historic James Paul Lucas Mansion. 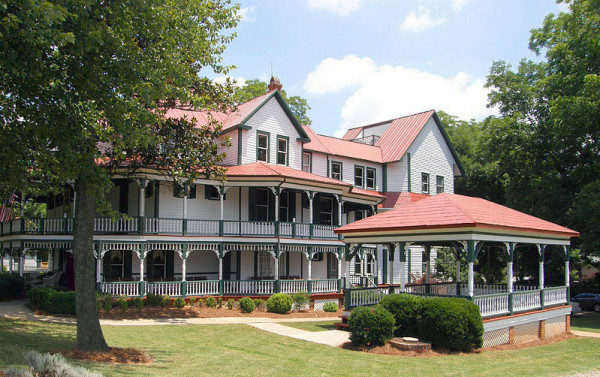 This famed regional landmark, the only National Registry of Historic Places site in Alexander County, was originally built as a two story Victorian home in 1900. Local legend tells us that the original structure was owned by a young man who planned to live in the home with his bride-to-be, following their pending marriage. As the story goes, the couple quarreled and never married. 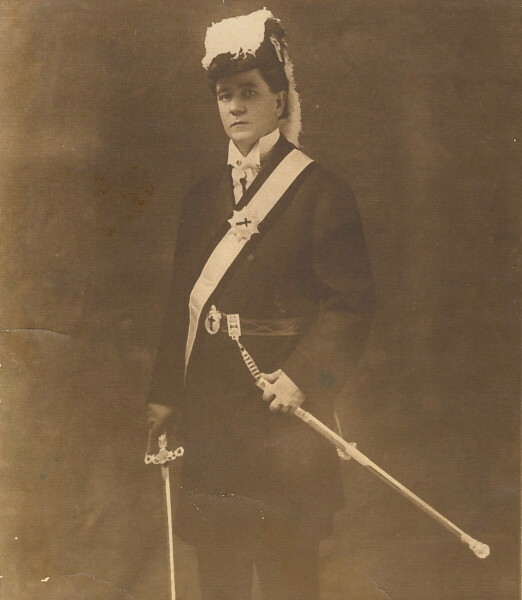 James Paul Lucas, affectionately known as “Diamond Jim,” was a visionary thinker who traveled the world as an importer of diamonds and gems. Lucas purchased the home and then set out to expand the structure significantly. As a traveler and collector, Lucas needed enough room to house his extensive collections of eccentricities. In grand fashion, Diamond Jim Lucas enlarged the original two-story home to its present three-story construction. The house was cut in half horizontally and the existing second story was raised on car jacks, inches at a time. 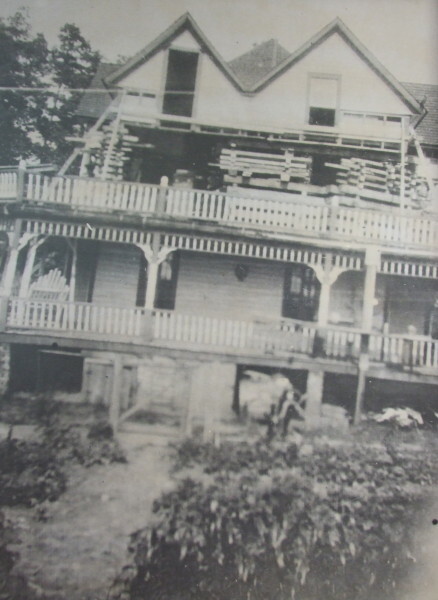 As the house was slowly raised, a group of local carpenters inserted lumber of various sizes until the desired height was achieved and the third story was added (photo below). As a result, what we now know as the second floor is actually newer than the third floor! 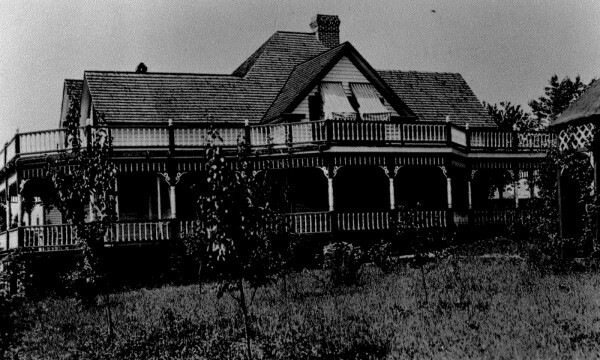 In the days of James Paul Lucas, the house served as the home of Mr. Lucas’ vast collections and played host to fascinating guests and famous friends of Diamond Jim. The Lucas Mansion museum, located on the first floor, features rooms restored to reflect family life in the turn of the 20th century with furnishings similar to those Diamond Jim may have owned throughout his life. Lucas equipped the 22-room, three-story house with all of the modern conveniences, including many that were ahead of their time. The mansion had its own power generator for electricity and indoor water system. The mansion also featured a telephone, a bell system used in the manner of an intercom, and a remarkable fire extinguisher system. James Paul Lucas passed away in 1952, leaving behind a legacy of innovation, creativity, and self-expression. 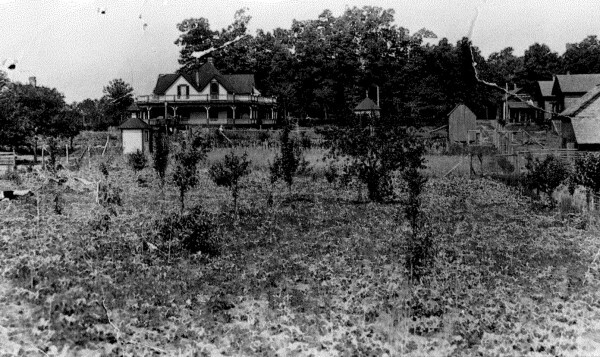 The mansion was purchased by the Center’s founders, the late Eileen Lackey Sharpe and R.Y. Sharpe, in 1981 and was established as a center for the arts, cultural heritage, and natural heritage. This rich history has left an undeniable mark on generations of North Carolinians. The Lucas Mansion is a part of our collective history and our shared future, serving as a beacon for the arts.